USB 3.0 to SATA HDD Docking Station - Zowietek Electronics, Ltd. 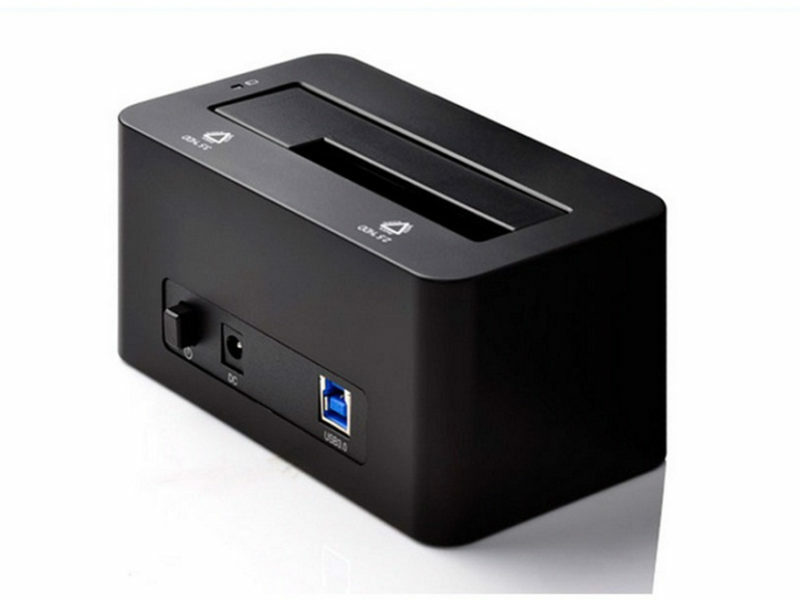 The USB 3.0 to SATA HDD Docking Station supports the direct insertion of Desktop two 2.5″/3.5″ SATA Hard Drives. It is a caseless solution that makes swapping hard drives easier than ever before. Plus, now you can take advantage of the lightening speed of USB 3.0 to quickly transfer files up to 5 Gbps!Connect any 2.5″/3.5″ Serial ATA (SATA) or SATA II Hard Drive to your computer through an available USB 3.0 port on your desktop or laptop. The USB 3.0 to SATA HDD Docking Station its Standalone Duplicator Dock lets you duplicate/clone an existing hard drive without the use of a host computer system, or can be connected to a computer system for use as an external hard drive dock. Press “Copy” button for about 10 seconds until the LED will start flashing and the cloning process will begin. Available USB 3.0 for high speed data transfer; Reverse compatible with USB 1.1 & USB 2.0.